Wire on 10-m spools, partially also on 5 m-spools. If you want to buy indium, have questions about our indium foils and wires or want to know our indium price, please contact us. 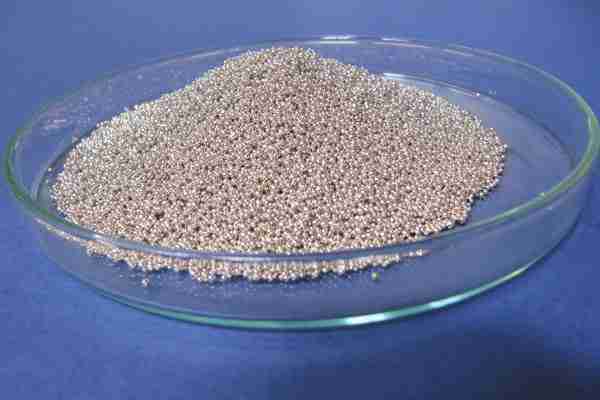 A significant part of produced indium is used for the production of indium-containing alloys. These alloys often feature low melting points. An indium alloy with bismuth, lead , tin and cadmium reaches a melting point of less than 50 °C. 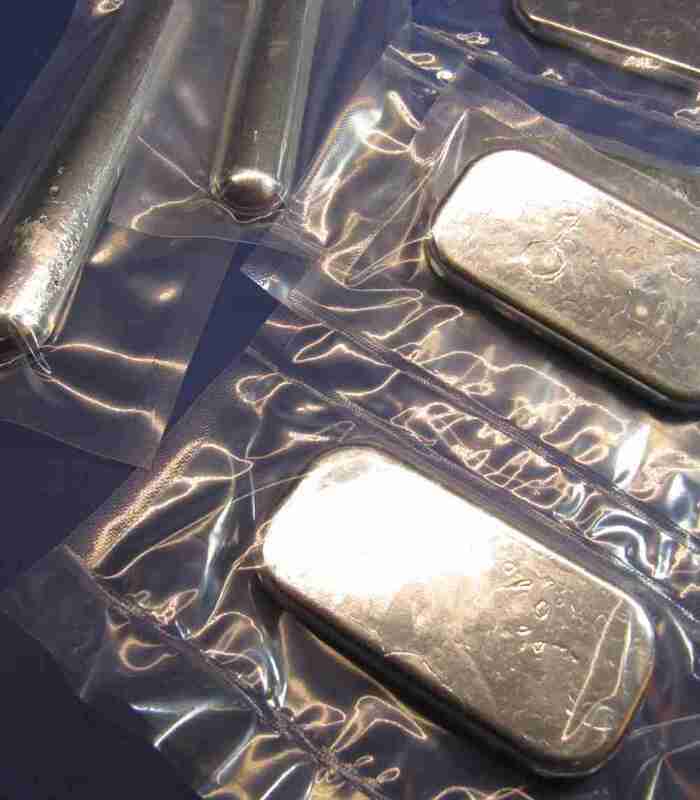 The cadmium-free eutectic alloy from indium, bismuth and tin has a melting point of only 60 °C. 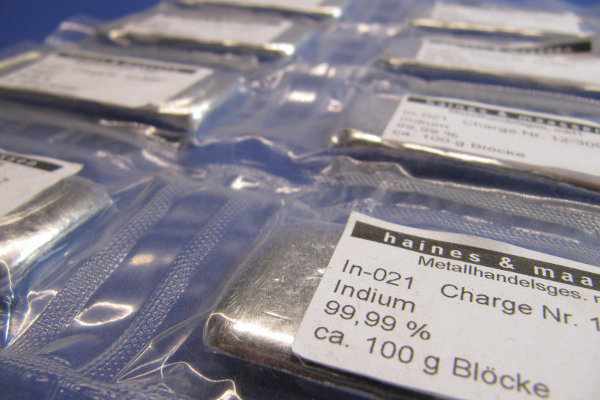 Further low-melting indium alloys are for instance indium tin alloys as soldering metals or gallium indium tin alloys for high-temperature thermometers with melting points below 10 °C. In alloys Indium more often replaces lead due to its limitations in accordance to legal requirements. 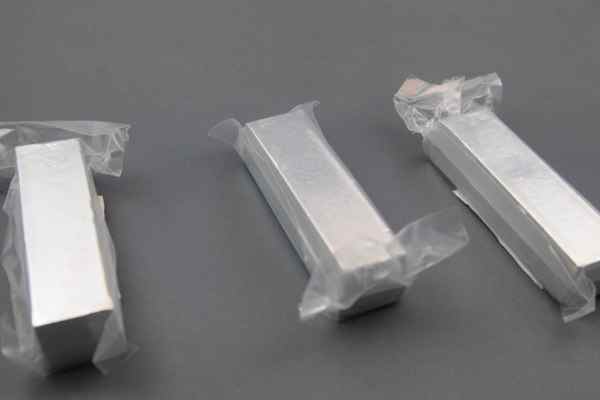 Indium is a very soft and easily formable silvery-white metal which keeps these properties especially in low temperature ranges. Therefore indium can excellently be processed into wires and foils. In its liquid form it features a high wetting capacity. The distance between the melting and boiling temperature (15 °C – 2072 °C) is one of the biggest among metals. The first large-scale application for indium was as a coating for bearings in high-performance aircraft engines (also as lead indium alloys for less demanding applications). For the coating of bearings indium is still in use today. Indium finds a steadily growing range of applications in the high-tech sector of sealing compounds (for example vacuum- resp. cryotechnology), as fixing material, in the semiconductor industry and as component of flat screens and touch screens. A relatively new high-demand use for indium is found in the thin flexible solar cells of the copper indium gallium technology and last but not least indium is an essential component of the booming LEDs. Indium oxide as a coating for glass holds back infrared radiation. When bending solidified indium one can hear a crystalline crunching sound. Indium tends to an oxidation of the surface but is self-passivating, which means that within only a few days after production a solid oxide layer of abt. 100 angstrom will form on the surface of the indium. In order to remove this oxide layer a short bath (abt. 1 minute at room temperature) in 10% hydrochloric acid will suffice. A previous cleaning for instance with acetone is recommended so that the hydrochloric acid can work uniformly. The hydrochloric acid is then removed by washing with distillated water. Afterwards the indium should preferably be dryed oxygen-deficiently with nitrogen or a similar agent. Thus one achieves for a short period an indium surface with low oxide which will provide a self-fusing. If this is not desired the indium should be stored separately. Indium was discovered in 1863 by the chemists F. Reich and H. Richter in a Freiberg sphalerite by means of spectral analysis when they were looking for thallium which had been discovered two years previously. They named the new metal indium after the indigo coloured line in the spectrum. For more than half a century indium remained only of scientific interest as is typical for a minor metal. This changed in 1930 when it became possible to produce indium with a high purity. Independent indium minerals are negligible. Typically indium is found in complex sulphide ores like sphalerite or copper sulphides. The global indium production amounted to abt. 770 t in 2013 (782 t in 2012) with China as biggest producer. Recycling: due to the variety of applications indium and in particular indium-containing alloys are only recycled to a limited but increasing extent.